Portland is a wonderfully vegan-friendly city, and I made a point to branch out and try some new restaurants on a recent visit. A local friend suggested Prasad, a vegetarian and all gluten-free restaurant that is located inside Yoga Pearl, a local yoga studio. Their food was fresh, healthy, and tasty. I loved the fresh, clean feel of the menu. 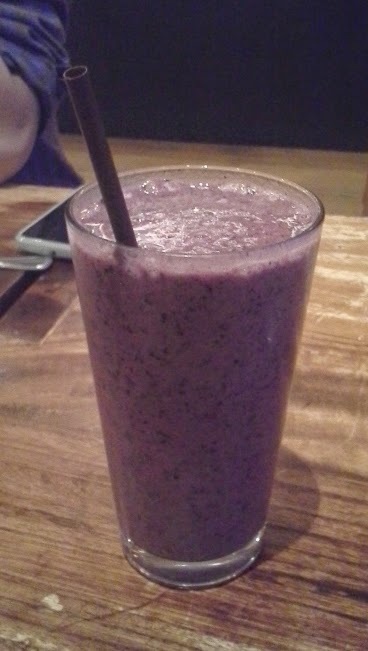 The smoothies and dishes ranged from raw vegan to vegetarian, and everything is gluten-free (as of the time of this writing). 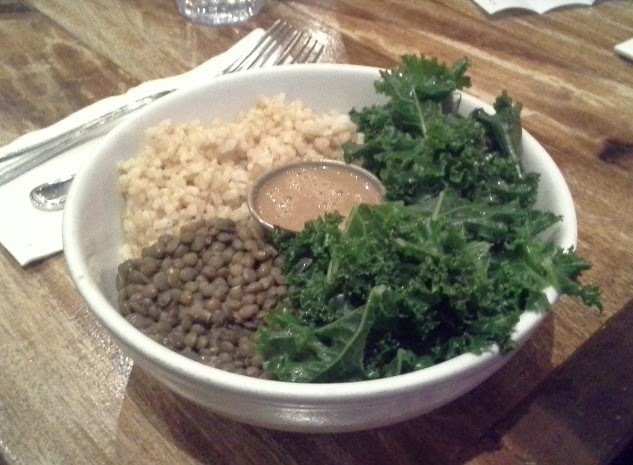 Prices are low to moderate, but those on a tight budget can try options like the Mighty Bowl (available for $2-$7, depending on what you feel comfortable paying). I loved seeing so many healthy options, and realizing that a lot of the offerings were similar to what I'd make at home (if I spent more time cooking). There are some fun choices like that between housemade almond/hemp milk and rice milk (for smoothies). The food tends to err on the side of uber-healthy, so you might want to add some salt or use the sauces more generously if you're accustomed to stronger flavors. It's worth noting, however, that Prasad shares a space with Yoga Pearl, which means some compromises. They have signs asking you to keep your noise level down, so this isn't the place for rowdy gatherings. Seating is also limited, so that's an important consideration if you want to eat during busier times. It's also downtown, near Powell's City of Books. Overall, it's a great option for the gluten-free, vegetarian, and vegan crowd who are looking for a really healthy meal. Disclosure notice: This restaurant visit was paid for by the reviewer. No compensation was accepted and the opinions are my own. Please verify any claims with the manufacturer, especially if you have any allergies or concerns.